The first four helicopters, to be deployed at Chandigarh’s Air Force Station 12 Wing, were formally inducted in IAF by Air Chief Marshal BS Dhanoa here on March 25 (Monday). IAF took the delivery of the four choppers from Boeing on Sunday. “Chinook helicopter can carry out military operations, not only during the day but in the night too; another unit will be created for the East in Dinjan (Assam). Induction of Chinook will be a game changer the way Rafale is going to be in the fighter fleet,” he added. 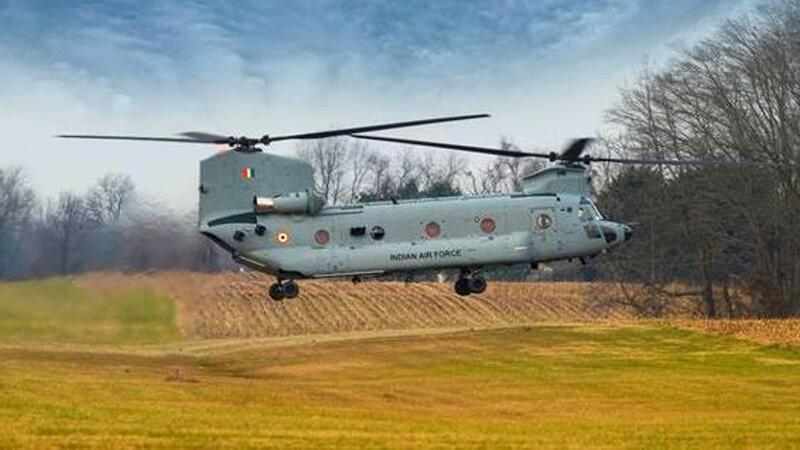 Visuals of Chinook heavy-lift helicopters at Air Force Station 12 Wing, in Chandigarh. Indian Air Force to induct the first unit of four Chinook helicopters today.